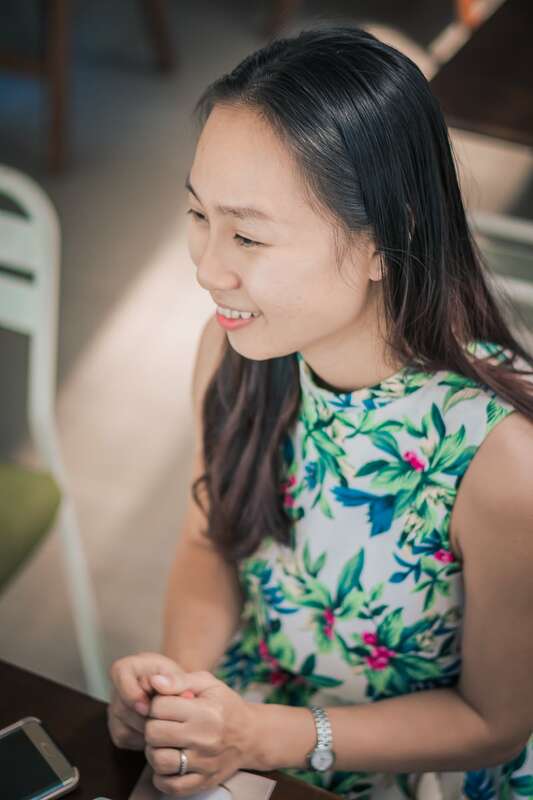 In 2015, Hoang Xuan Thao founded Milkbar. The cafe, at 100 Tran Quoc Toan in Ho Chi Minh City’s District 3, is currently TripAdvisor’s #1 rated dessert spot. Despite its purported health benefits, milk consumption in Vietnam is around half of Thailand’s and a third of Singapore’s. But the market here has been growing steadily—by approximately 12% over the last three years. Thao saw this as an opportunity to meet the growing demand in Vietnam for organic milk. 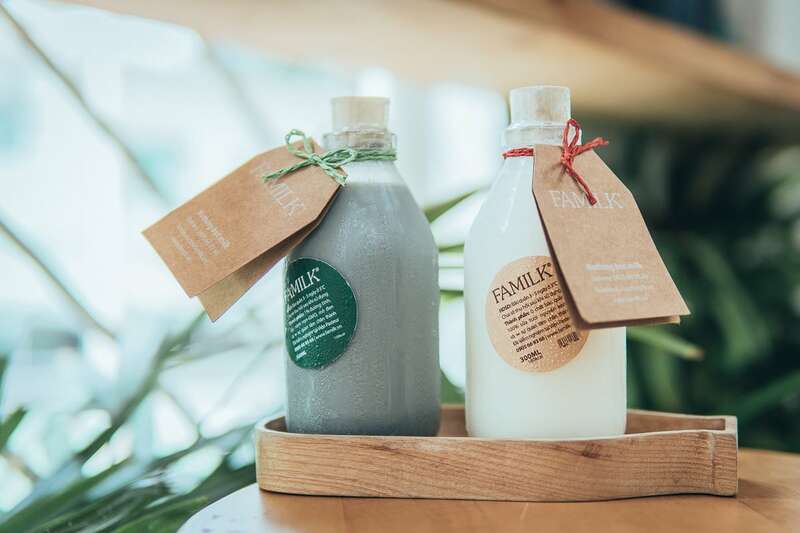 It provided the impetus for her create Familk, an organic farm milk brand. Just three years later, she founded Milkbar to further improve access to her organic milk. 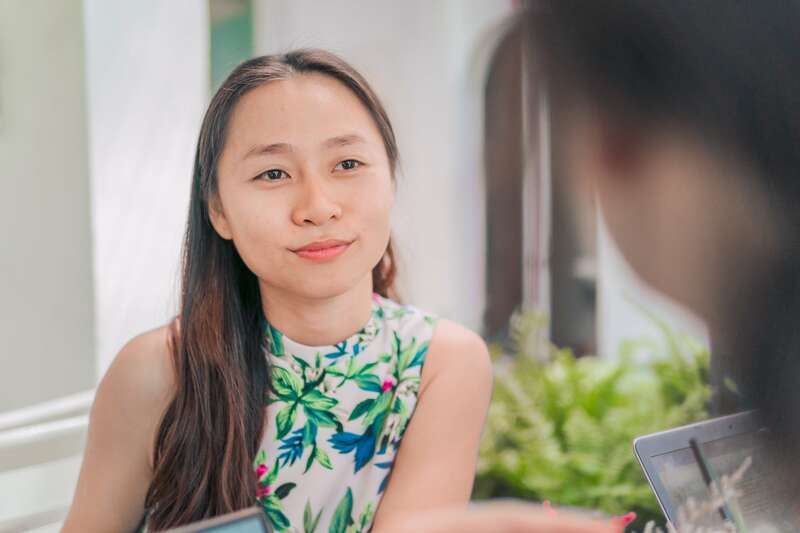 As more visitors trickled into the Milkbar for her refreshing drinks—like her chocolate milkshake and kumquat and coconut iced latte—and scrumptious desserts—like her tiramisu and cherry cheesecake—Vietcetera took a seat with Thao. We wanted to learn more about the origins of TripAdvisor’s #1 dessert cafe and the challenges she overcame to make it what it is today. How did you become so passionate about milk? Vietnamese people like organic milk and want to give it to their children, but it was hard to find six years ago. 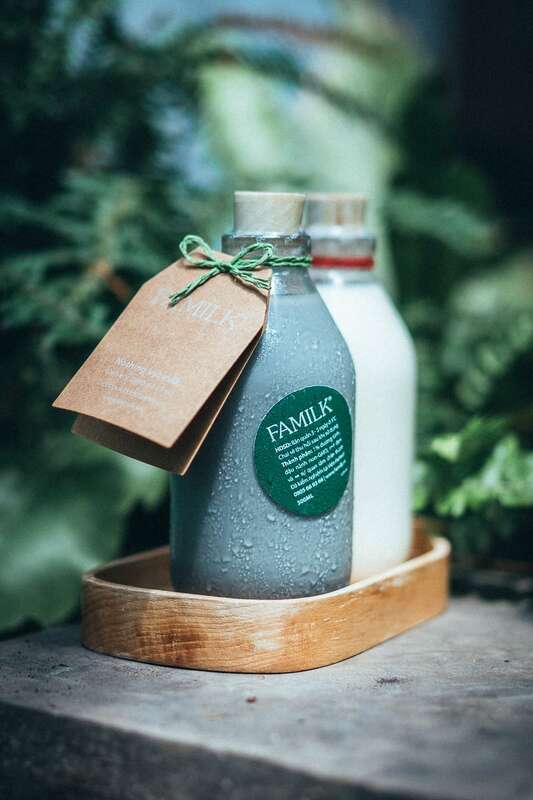 In response, I wanted to make “family milk” for children and families so I created Familk—a completely organic fresh milk brand with no preservatives that we delivered by hand to people’s homes. Some people stayed home just to wait for the milkman! 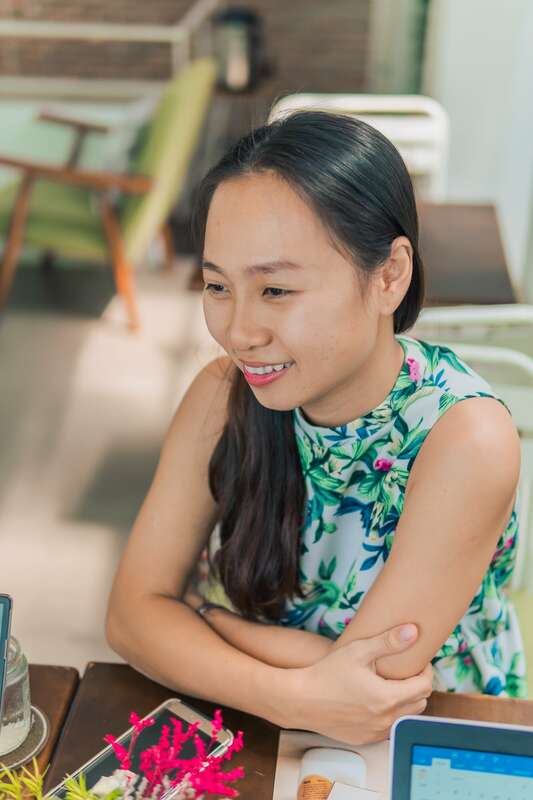 “…customers told me many times that they wanted a place where they could pick up our milk…somewhere they could spend time with their family,” says Hoang Xuan Thao. What spurred you to open Milkbar? How did this dessert cafe evolve from your Familk brand? Familk customers told me many times that they wanted a place where they could pick up our milk—rather than just order deliveries—and somewhere they could spend time with their family. So, three years later, I opened Milkbar. We initially wanted to focus on milk…but we knew we couldn’t only sell milk. The problem was, we didn’t know how to make any desserts. The solution we found was to order cakes from other bakeries to sell. But we quickly realized we couldn’t control the quality of those products. Also, we didn’t share the same philosophy with the bakeries we worked with. We want everything to be beautiful, natural, and simple. All the ingredients have to be organic with no artificial colors or additives. That’s why had no choice but to start making the desserts ourselves. “Nothing but milk” at Milkbar, Ho Chi Minh City’s 1# dessert cafe according to TripAdvisor. 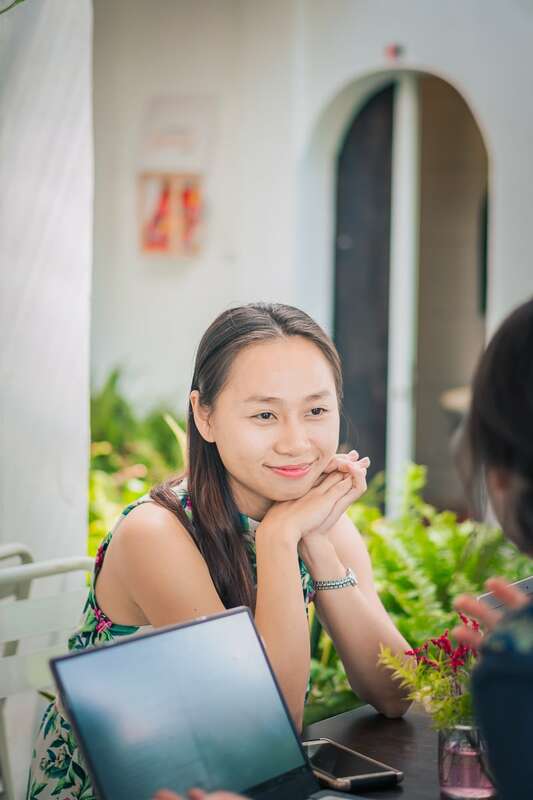 What distinguishes Milkbar from other cafes in Ho Chi Minh City? We focus on health. As we dove deeper into the Vietnamese cake industry, we realized that cakes really aren’t good for our health. We understand that cake is eaten during special occasions like birthdays, so it has to be beautiful—but we wanted to provide a healthier version that retained the same visual appeal. To do that we used Familk to make our desserts—something that other cafes don’t usually do because organic milk is more expensive than other milk options. We also do not use additives like baking powder or gelatin. The coloring even comes from natural sources. The pink we get from dragon fruit, orange from gac fruit, brown from cacao powder, and green from green tea powder. 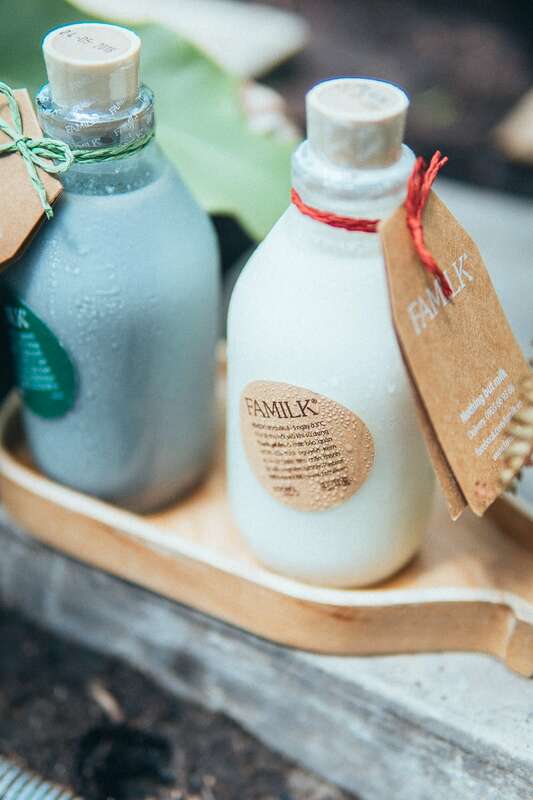 How have you retained your focus on family values, that was integral to Familk, after you opened Milkbar? Family values became a philosophy for how we treat our customers. For example, we don’t greet them by saying “Milkbar xin chao” because it’s not a greeting that families use. It’s not natural. 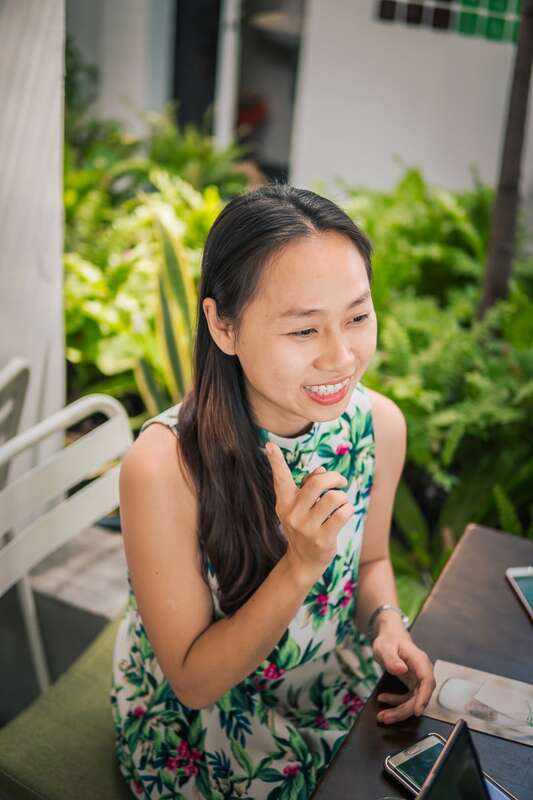 Instead, staff here say, “Hi, Anh” or “Hi, Chi” which are more familiar and friendlier. It better reflects how families and friends talk to each other. What are some challenges that you have encountered with opening Milkbar? When I was building the original cafe, the building collapsed five days before the grand opening because of heavy rain. The builders worked day and night to reconstruct it in just ten days. But when you try to rebuild a building, there will always be problems, like leaks from the ceiling. Especially in Vietnam, where the housing quality is not the best, there are often leaks when it rains. When I patched up one place, there was another issue elsewhere. It took a lot of effort to maintain. Customer trickle into the Milkbar for chocolate milkshakes and kumquat and coconut iced lattes, and their tiramisu and cherry cheesecake. What lessons have you learned from opening Milkbar? There have been many times when I wanted to quit and close Familk and Milkbar. I thought about going back to school and becoming a university lecturer. But if I close Familk, I won’t have any milk for my daughter or my niece. I have to keep going. And as I get older and become wiser, I realize that if you want to be successful, what’s most important is not if you’re clever, intelligent, or talented; it’s having the ability to overcome the mundane. You have to deal with the repetitive routine. That means that you have to find fun and enjoyment in the work you’re doing. I have worked at Milkbar for three years and I still discover fun new things every day. How do you balance being a mother and the founder of Milkbar? I think I’m lucky to own a business and have a child. The first three years you start anything are the hardest. There are so many unexpected difficulties. When you grow your team, everything becomes easier. But at first you start alone…and that’s hard. My team is amazing. They are why I feel so lucky to have a business and my daughter. Children just need time with their parents and I get to spend a lot of time with my daughter. That’s the purpose of my life. It’s for her, and not just for me anymore. My team does all the jobs I used to do. They just ask for my help sometimes. ## What is the future of the Milkbar brand? Since about two years ago, when it still was easy to breathe in the food and beverage industry, we wanted to expand. We wanted to open locations in other cities and even other countries. But we had to ensure our core business of organic, pasteurized milk was strong enough first. Now, we also want to develop our catering operations. We want to allow people to order online and deliver food to their family and company parties. We already make finger food for events and occasionally cater for companies and families. Who should we speak to next? My friend Chung Chi Cong just wrote a Vietnamese movie that’s called Nham Mat Thay Mua. It’s a drama set in Higashikawa, Japan. I studied with Chung Chi Cong at university, so I’m excited to see the film.